Lyla Dale knew from an early age she had a passion for spreading the news. She recalled making her own newspaper in the fourth grade to hand out to classmates, informing her young peers about the world around them. Not much has changed since then. Lyla, 16, said she first recognized her interest in writing when she began creating poetry at eight years old. Besides writing, one of Lyla’s greatest passions is sports. Although she is a competitor on her school’s track team, she said she found her real calling in tennis. She recalled one of her proudest moments – winning a match after being down 1-to-5 and facing the glaring looks of her competitor. Through countless hours of practice, she learned the discipline required to be an athlete. As she sat opposite a sunny window looking out on the beach, it is no surprise that Lyla loves being active outside and considers herself an “outdoorsy” person. For the past four years, she has been active in writing for a local environmental newspaper called Save the Beaches and she remains dedicated to other environmental issues. These activities all funnel into her interest in journalism. Lyla said she is especially interested in learning about sports journalism. An athlete herself, she understands the level of dedication that professional athletes must commit to. Regardless of the subject matter, there is one thing that she thinks is most important in making a strong piece of journalism. “It sounds contradictory because journalism is mostly reporting facts, but I prefer to read something that is both informative and has a voice,” she said. Lyla is most attracted to journalism because of its influential nature. Lyla has many aspirations for the future. She hopes to attend law school one day and continue to live an active and outdoor lifestyle. 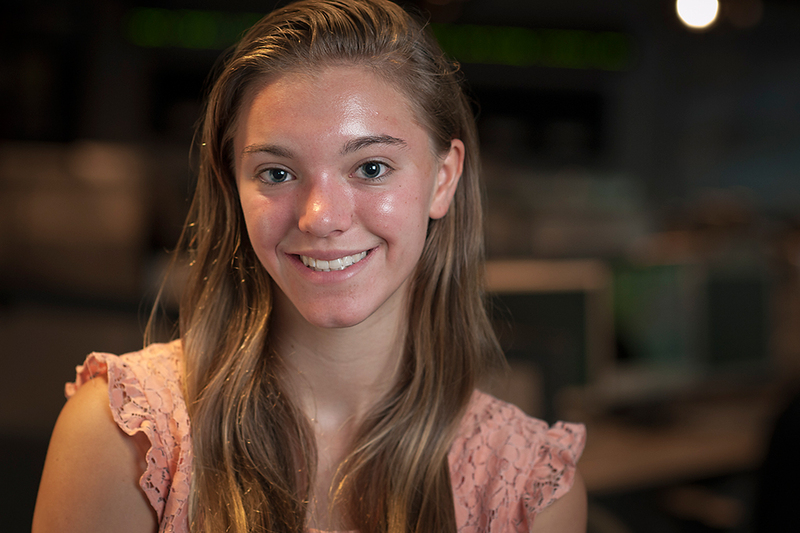 With her journalism experience, there are many things she wishes to get out of the Robert W. Greene Summer Institute for High School Journalists.